John is the director of the Wild Basin Wilderness Preserve at St. Edward’s University in Austin, Texas. His research focuses primarily on dragonflies and damselflies. Kendra is an ecologist that studies the endangered American Burying Beetle in Texas. They have been photographing nature for over 20 years and are known for their skill with specialized techniques including focus-stacking and high speed flash. Their worldwide travels have emphasized the New World tropics where they have amassed a collection of insect and other animal photographs. John has authored several books and their photographs appear in numerous natural history books, magazines, newspaper articles and museum exhibits. Lee Hoy grew up in Oklahoma and Texas and considers himself a “Tokie.” He has had a varied career as a professional transportation planner, church planter, roofing contractor, and now, he is following his love of all things wild with full-time photography. He is proud to be a contributing photographer to Texas Parks & Wildlife Magazine. He is the volunteer coordinator for the North American Nature Photography Association’s (NANPA) Central Texas Group, serves on the board of the Rattlesnake Preservation Trust, Austin Herpetological Society, and has just been nominated for the NANPA board. He has birded and photographed all over North America with his favorite locations including Big Bend National Park, Texas; Pribolof Islands, Alaska; St. John’s, Newfoundland; and Wichita Mountains National Wildlife Refuge, Oklahoma. Born in 1964 in Oregon, Michael started his photo career in commercial photography and eventually migrated into natural history photography and journalism. 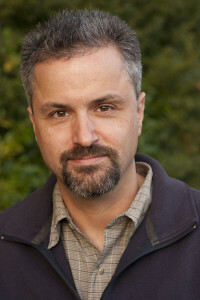 He has also has worked with the Oregon Zoo for 25 years and currently produces much of their digital media. His work has appeared in books, magazines and digital media throughout North America, Europe, and Asia including Nature’s Best, Audubon, National Wildlife, Sierra, Defenders, Nature Conservancy Magazine, BBC Wildlife, Orion, National Geographic for Kids, and many more.